When I was growing up, it was a pretty big deal to have a computer with an operating system other than DOS. If you had an Apple, or even a computer with Windows, your house was the place to be. Not only were you likely to have the coolest games, but also, you probably had access to clip art libraries, which made for hours of entertainment — for me, at least. Today, it’s hard to imagine a world where you can’t procure an image just by searching for it online. When I was in school, the only way to include a picture in a book report, for example, was with enough luck to find what I was looking for in a magazine. 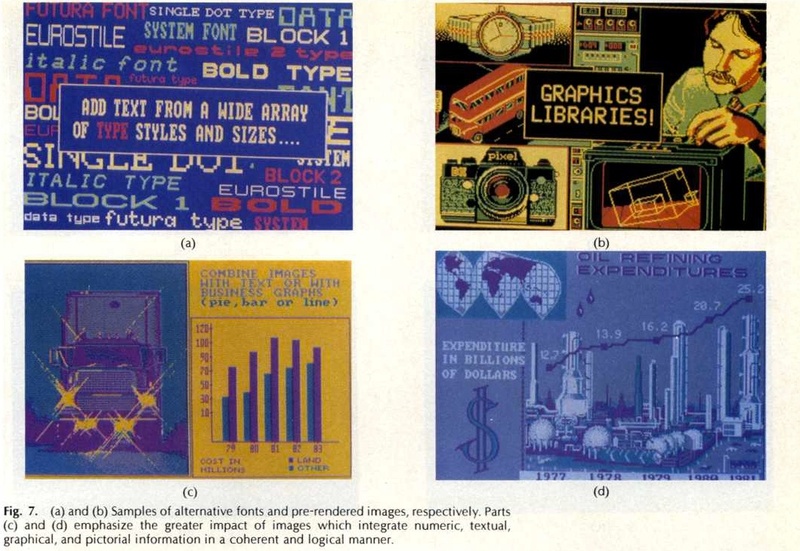 Clip art opened up a whole new world of visuals for academic assignments — not to mention, the newsletters that my childhood, future-writer self liked to put together for fun. But today, clip art has become a bit of a thing of the past, at least since Microsoft retired its version in 2014. That’s an important distinction — clip art isn’t limited to Microsoft, and actually had several predecessors before it found its way into the likes of Word and PowerPoint. And maybe its retirement was for the best — when I think back to some of its more popular images, they would look positively antiquated today. But where did clip art come from, anyway? Today, we’re honoring its legacy with a trip through time. It all began with the idea to create a digital library of images. That was made possible by a program called VCN ExecuVision, a presentation program created in 1983 for IBM personal computers. Think of it as a primitive version of PowerPoint. But the $400 software didn’t come with these image libraries — instead, they were available on separate floppy disks that had to be purchased for $90 each. 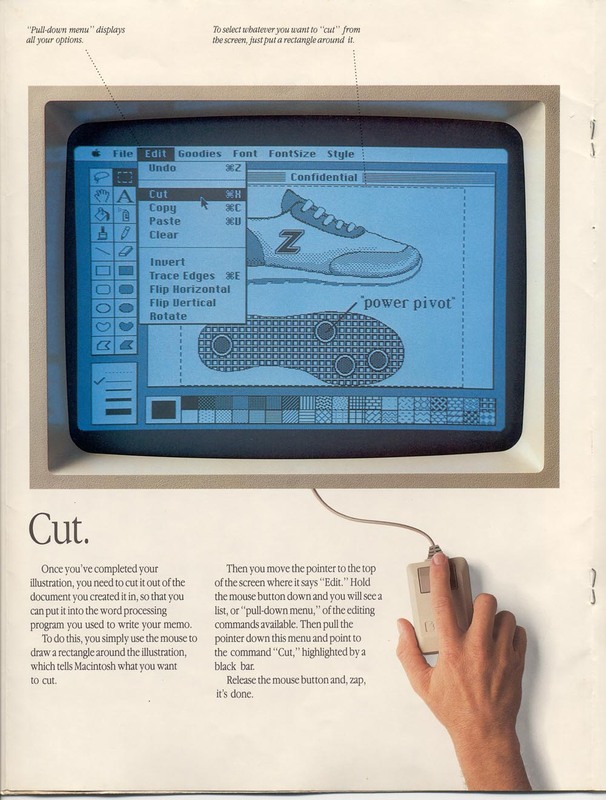 But despite this seemingly trailblazing effort on behalf of IBM, it was really Apple who may have emerged as a leader in the digital image space, at least around the early-to-mid 1980s. That’s partially due to the 1984 development of MacPaint, which was released alongside Apple’s word processing program, MacWrite. As the story goes, they were the only two applications pre-installed on this historic Macintosh 128K. Not long after that, however, the T/Maker Company collaborated with Apple to develop another word processing program, WriteNow. 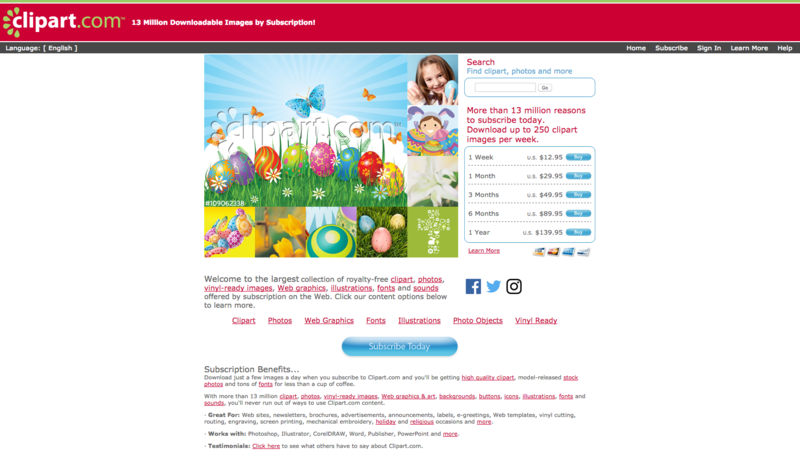 While it’s not clear if that particular program came equipped with its own image library, the same company began producing and selling groups of bitmap images under a new name: ClickArt. By the mid-1990s, T/Maker was the largest distributor of unlicensed images, with a library of roughly half a million in 1995. Microsoft took note of ClickArt’s success, and thought to eliminate the extra step of having to install additional software to access artwork. So in 1996, Microsoft Word 6.0 came equipped with 82 clip art images — a miniscule amount compared to the 120,515 files available on openclipart.org today. And yet, Microsoft became the brand most strongly identified with the idea of clip art, despite its predecessors having laid much of the groundwork. That could be because its in-app nature — across the entire Microsoft Office Suite — made adding art to documents and presentations a groundbreakingly seamless process. By August 2000, at least 41% of U.S. households had computers with internet access, indicating that people were using it more and more for consuming information and media. And like so many other things — books, for one — clip art was becoming available for purchase online via sites like clipart.com, which is still in existence, but today looks a bit different than its 1996 counterpart above. And while clip art isn’t exactly one of those things that we think of as having suffered “death by download” — like books, music, and movies — the ability to procure images online made something like Microsoft’s in-app feature obsolete. In December 2014, Microsoft announced that it would be doing away with any in-app art libraries. “The Office.com Clip Art and image library has closed shop,” the statement read. Instead, users would now have to use either images from their own devices, or those found through Bing Image Search, where they’re now automatically sent when searching for art within Microsoft apps — step-by-step directions can be found here. The announcement, for many, read as the end of an era. What would become of cartoonish images of urban landscapes, or out-of-date business travelers with flip phones? As it turns out, if that’s what you’re looking for, you might be in luck. And perhaps this version of clip art isn’t really gone for good — after all, NPR once noted Microsoft’s penchant for revitalizing its older pieces of technology, like Clippy. In any case, clip art has certainly taken many forms over the years — and we’re curious to see what shape, if any, it takes in the future. Which clip art images make you the most nostalgic? Let us know in the comments.